My girls and I get together about once a week to chat and chill. Every one brings random food and drink and we make a night of it. Lately we have been watching back seasons of True Blood. But every once in a while we make it a Girls’ Night Out. And we’ve got a big one coming up in July for my birthday! 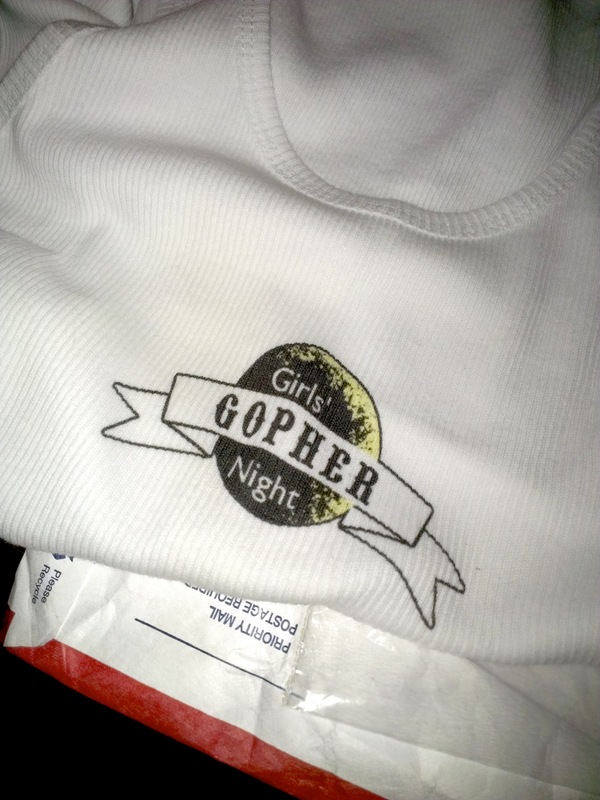 To bling out the fun, I’ve designed wristbands and a tank top for our “honorary girl” AKA the Girls’ Night Gopher. He’s going to be fetching drinks and watching over us. For both of these projects I used the online software provided by the vendors, Uberprints & Ecustom. • Ecustom (silicone wristbands) has no minimum order and gave a discount on quantity at my order of only 10. 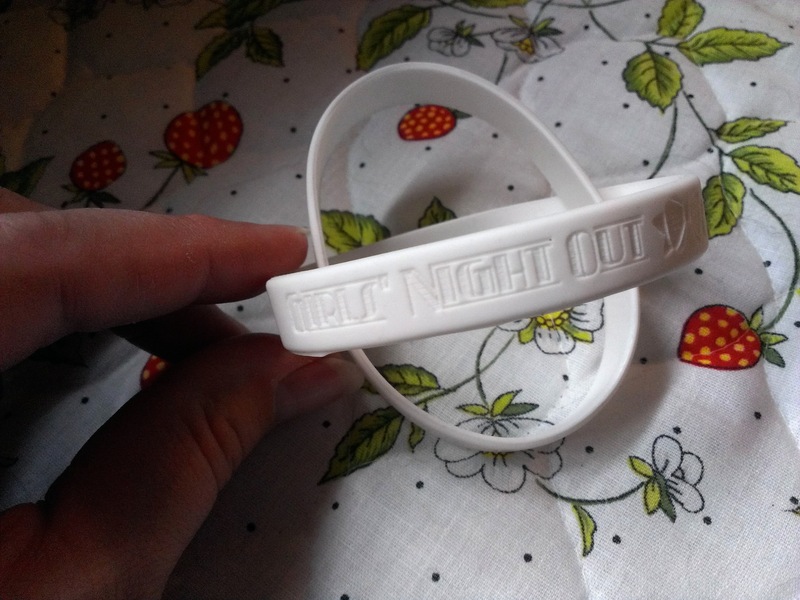 I received the wristbands the same week I ordered! • Uberprints (shirt) has no minimum order and called & emailed when they saw I had white ink going on a white shirt. I was impressed with that bit of customer service. I received my shirt under a week of ordering along with a postcard with washing instructions and an “uberprints.com” sticker. Custom design will be white silicone with colorless debossing. 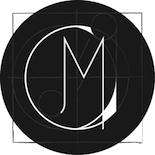 My design before adjustment: concern about the white ink on the white shirt, directed them to adjust with a black stroke around the banner. Finished shirt! Too bad they put the black outline around the moon, it doesn’t “glow” so much anymore. 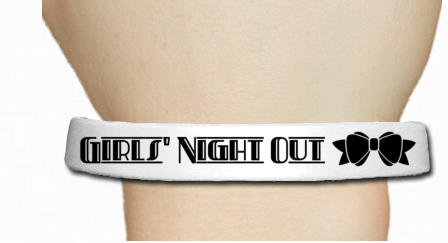 This entry was posted on July 2, 2013 by Miranda in Digital Design and tagged bracelets, custom, digital printing, graphic design, shirt, silicone, wristband.